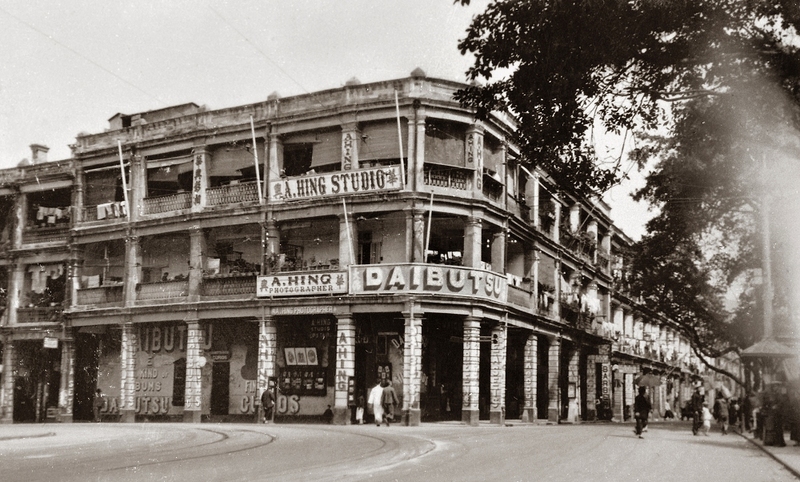 The Daibusu Company and Wah Hing Photography at the intersection of Queen's Road East and Arsenal Street. 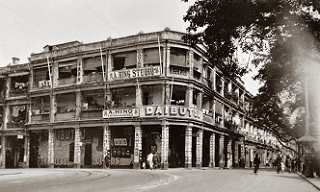 Today's Tai Fat Hau in Wanchai was named after Daibusu, a Japanese company. At the time, all trams had to pass through Arsenal Street before entering Johnston Road,known as East Harbour-front at the time.